We make declarations in all customs procedures enumerated in EU customs code. We settle tax and customs duties associated with customs dept. We deposit security in transit procedure (T1). 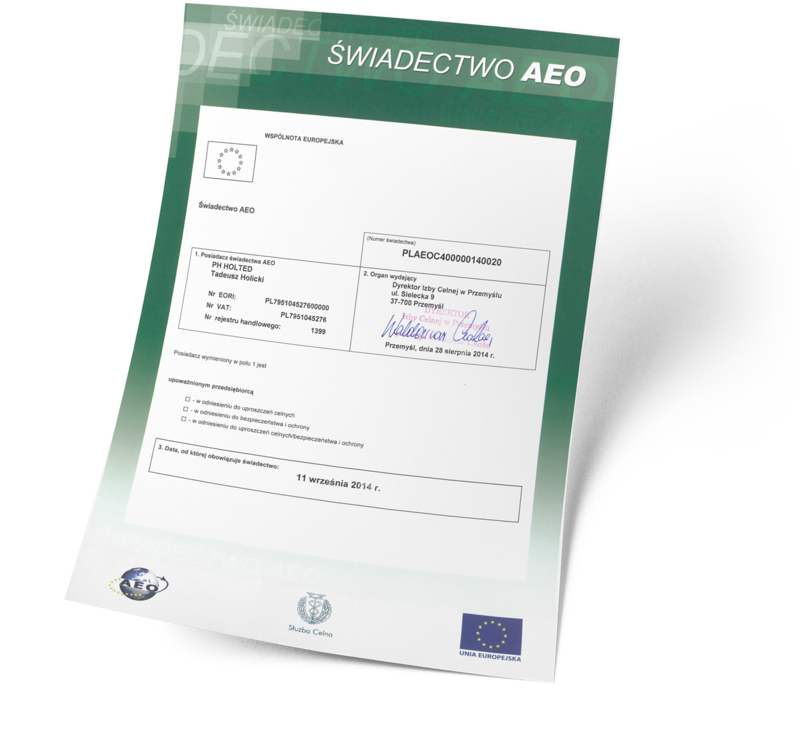 We are authorized by the Customs Chamber in Przemysl to follow simplified procedures within and without hours of service of the customs branch. We fill out transport documents (TIR carnet, CMR). Professional attitude of our enterprise proves the AEOC certificate issued to us in 2014. Our customs agent crew consists experienced personnel who provide service on high standard.